Arrels’ members are people who do not want anyone to have to sleep on the street. Since 1987, we have joined more than 13,000 homeless people on their way to independence, offering housing, food, and social and medical attention. We count on the support of 64 working people, around 400 volunteers, and more than 4,700 associates and donors who collaborate to make our goal possible: #nobodysleepingonthestreet. We accompany and look after homeless people who find themselves in an extreme phase of exclusion towards a situation in which they can be as independent as possible. We sensibilize citizens regarding poverty issues in our surroundings. We report unfair situations and present solutions to administrations and civil society. Our experience and daily contact with homeless people has constructed, from the very beginning, our manner of accompanying people and dealing with the causes that create homelessness. We not only tackle individual situations but also their causes. We stand beside homeless people, promoting their self-esteem, their confidence, and guarantee that they will have their basic needs met when they decide to stop living on the streets. At the same time, we work to explain to citizens the causes that lead someone to remain on the street and we make possible suggested improvements. We look after people from a comprehensive point of view. We respect their pace, without imposing anything on them, promoting participation and decision making in their improvement process and encouraging damage reduction. We work alongside other social services, health services, and legal care with the person at the center of the intervention. We are an entity where everybody contributes. Homeless people provide knowledge from their experience and their critical vision. The voluntary team allows the creation of new bonds with the more vulnerable people and the team of workers add the technical skills and work to ensure the continuity of processes. We opt for social innovation. We like to implicate ourselves in projects and initiatives from other countries focused on homeless people to learn new ways of acting so we can adapt our way of acting. We are independent. The fact that we can count on a wide social base that gives us support facilitates our critical capacity and gives us security and freedom to act against those who tend to perpetuate homelessness. We work alongside entities and administrations to place focus on the improvement of social policies, to promote citizen sensibilization, to exchange knowledge and thoughts, and to provide some proposals to move forward in the challenge of #nobodysleepingonthestreet. We organise censuses and we work on articles, essays, and studies to know more about the reality of homeless people. 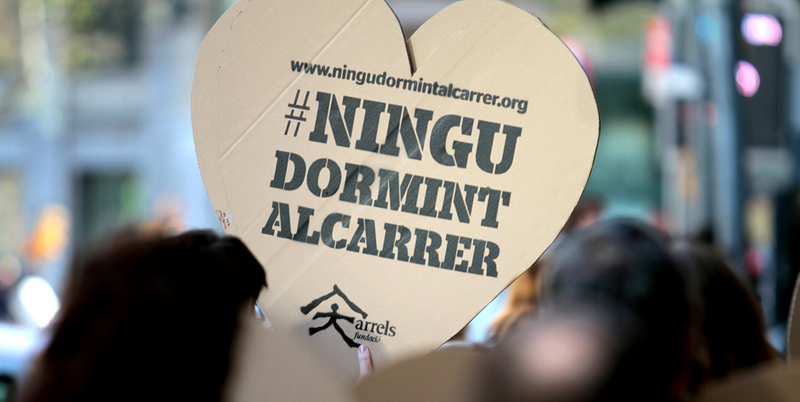 We promote an approach of the homelessness beyond the city of Barcelona. 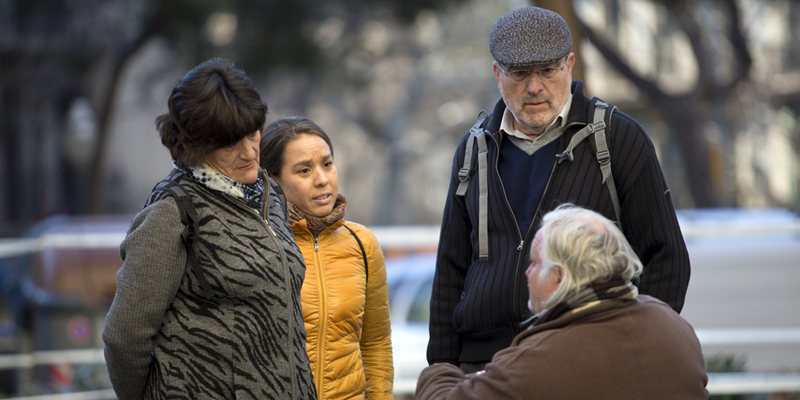 We work collaboratively with other towns to measure the problems in Catalonia promoting counts of homeless people. We also offer training and counseling and we promote days of reflection, debates, and exchanges about the main challenges related to homelessness. We elaborate practical guides to advise and offer tools to administrations and citizens about what to do when somebody is sleeping on the street. We have also created an app called Arrels Locator to allow citizens to inform us about people sleeping on the street. We also provide towns with a useful tool to organise the counts. 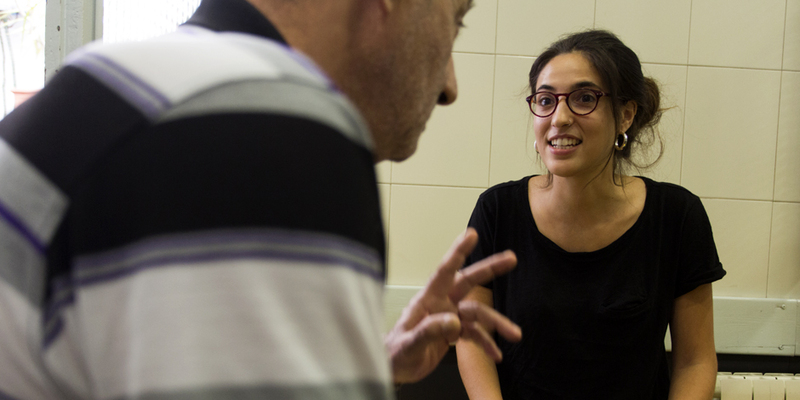 We created the Fundació Mambréto give an answer to homeless people in the residential and working field, along with Assís Centre d’Acollida, Companyia de les Filles de la Caritat and Sant Joan de Déu. We have participated in the making up of the Inclusion Plan against homelessness in Barcelona 2016-2020 (document in spanish) and the Comprehensive Strategy for the approach of homelessness in Catalonia(document in catalan), among other studies. In which networks do we work? Consell Municipal de Benestar Social de l’Ajuntament de Barcelona (some people who know Arrels and who have lived on the street are part of the Working Group of Homelessness).